I am going to admit something that’s not very popular. Are you ready? I am a huge fan of Brussels sprouts. Scandalous, I know. They’ve always been something that was on our family table, and no one had issues with them. These Pan Roasted Brussels Sprouts with Balsamic Glaze are going to make you fall in love, too. 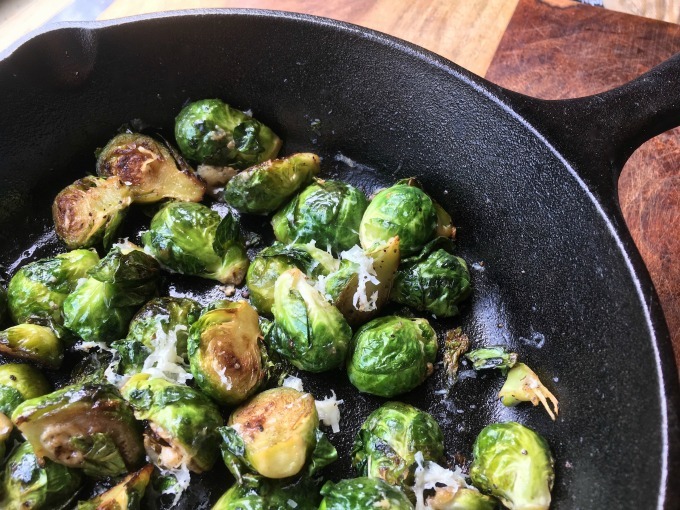 The combination of the smoky roasted Brussels sprouts, and their natural sweetness coming out, paired with the slightly tangy balsamic glaze really makes this a dish worth trying.